Are you in the process of or thinking about hiring an ICU nurse (intensive care or critical care nurse)? For the general phone or pre-interview, you can use several of these ICU nurse interview questions. Be prepared with several interview questions for ICU nurses related to stress and how they handle high-pressure situations, as well as behavioral interview questions related to patient care. Below you’ll find a sample list of ICU nurse interview questions that you should use during the job interview process. 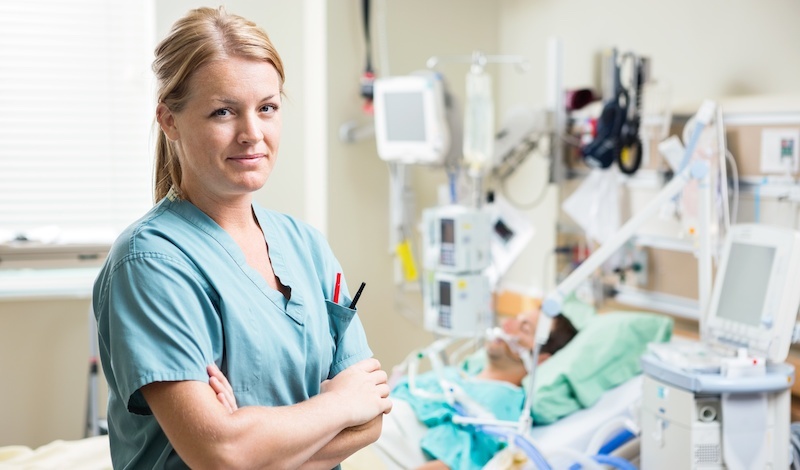 How do you handle extreme pressure when performing your duties as an ICU nurse? An ICU nurse is often faced with high stress situations. During your interview, listen for these positive signs they will thrive in a high stress environment: Do they talk about how they perform best under pressure? Dothey mention that they like taking on additional responsibility, often without being asked? Feel out whether high-pressure situations phase them or the quality of their work. 2. What responsibilities have you handled as part of the ICU? This question gives you an idea of a nurse’s overall responsibilities. Ask for details and determine whether their experience matches your current opening responsibilities. of your current opening. 3. What’s your greatest strength as an ICU nurse? The purpose of this question is to hear your ICU nurse candidate talk about themselves and what qualities they’re most proud of as a nurse. There is no “right” or “wrong” answer. However, if they stumble trying to describe their biggest strengths and accomplishments, it could mean they’re not confident. 4. Why are you leaving your current position? This is one of the most important questions to ask an ICU nurse (and all nurses). It’s important to gauge whether they want to leave due to workplace conflict, shorter commute, better hours, higher salary, etc. How do they describe the situation? Can you sense they are having issues with coworkers? Are they seeking enhanced challenges or opportunities? Listen closely to their answer as it may provide clues as to their work style, goals or management abilities. Be sure to ask follow up questions for more details. 5. What did you not like about your last facility/organization? This question provides more direct information related to your nurse’s likes/dislikes. They may say they’re leaving based on a long commute, but there could be workplace conflict or other factors that came into play. This can also lead into their ability/desire to lead change in your facility. 6. Can you describe your ideal work week? Again, if your ICU nurse candidate does not reveal any information regarding their ideal schedule, you’ll want to use a more direct question. This is important to gauge their expectations of a new position. For example, what hours or scheduling considerations will they require? Several top candidates actually train for this question, but that’s not a bad thing. The better their response, the better indication they are a planner who has done their homework and likes to be prepared. 8. Tell me about a time you were under a lot of pressure. What was going on, and how did you get through it? This is a behavioral question that is perfect for ICU nurses. It allows your candidate to describe a high-stress situation, the challenges they faced, and exactly how they reacted. These are general questions that you can ask to uncover some surface level information. These are typically used as “getting to know you” questions and should not be used as your main criteria for making a hire. Tell me about a time you inadvertently caused conflict? How did you resolve it?? What are your weaknesses? / What is your area of greatest opportunity? How would you define a strong leader? What questions would like to ask me / us? Are you currently interviewing with other hospitals? When do you plan to make a decision? / How soon can you start? As a healthcare employer, you may want to leverage behavioral interview questions when hiring nurse staff. Behavioral based interview questions will give you a sense of how a nurse will perform or behave in specific circumstances. Questions related to stress, time management, and pressure situations are perfect for assessing your ICU nurse candidates. Describe a situation when you had to work closely with a difficult or confrontational coworker. How did you handle the situation? Were you able to work together and collaborate with this person? Discuss a time where you stepped into a leadership role. Do you find yourself stepping into these roles frequently? Tell me about a time when a patient’s family was dissatisfied with your care. How did you handle that situation? Were you able to remedy the situation or build some understanding with them? Discusst a time when you didn’t know the answer to something at work? How did you go about finding the information? Talk about a time you worked in a fast-paced setting. How did you prioritize tasks while maintaining excellent patient care? Give an example of a time when you were able to successfully persuade a patient to agree to something. How did your persuade this person? Share a time when you had to rely on written communication to explain yourself to your team or to a patient. After narrowing down your candidate pool to the short list of nurses you’d like interview further, we recommend checking references to confirm you’re making the best hiring choice. Valuable reference feedback can weed out bad candidates who are not a good fit for your organization. One step to gathering detailed, candid, and actionable feedback from references is through using relevant, consistent reference questions. The best reference questions to ask are the questions that lead to the highest quality hire. Checkster’s digital platform provides templates of reference questions that are validated by independent I/O psychologists and found to be accurate predictors of performance and turnover. Keep in mind that inconsistencies in reference questions can lead to inconsistent feedback. Checkster can be used to customize and then standardize questions across all reference checks, even across the company. It’s an easy way to ensure you remain compliant and legal with all questions asked by administering a set of digital questionnaires. Do you get answers to all your questions when you ask them via phone? How candid is the reference feedback? Too often, references are careful in their responses over the phone, and do not open up, supplying short, trivial answers. Consider using an automated reference checking tool like Checkster to gather much more detailed, honest feedback about candidates. Compared to the 2 responses on average you’ll get from the phone (after over an hour or more of chasing them down), Checkster sees an average of 6 responses (with only 2 minutes of time from the recruiter) in less than 48 hours without having to spend any time on the phone hunting down references. And you better hurry! Did you know that over 54% of caregivers have stated they will not wait more than 3 days after an interview before moving on to interview with other organizations? In addition, nurses receive, on average, 3 calls each week from other jobs. There’s a labor shortage in the healthcare industry and organizations and hospitals are scrambling to compete for the best talent. Your hiring process timeline is critical to your organization’s success. With the traditional reference checking process of calling a candidate’s references, it can take an average of 3-7 days to complete. By using an automated, digital reference checking process like Checkster, it can take fewer than 2 days. In addition, Checkster provides the added benefit of a quality sourcing channel. Our clients receive an average of 5 passive candidates for each candidate interviewed. Because those new contacts are professionally connected to your top candidates, they become an excellent source for new hires. And at 80% opting in, 1,000 hires would easily yield a database of 5,000 - 15,000 passive candidates. That will help you fill open jobs quickly, with the top nursing talent available. By gathering reference data digitally with Checkster, you will be able to administer dependable, quality questions, save yourself precious time and stress, and receive candid and consistent feedback that will lead to smarter hiring decisions.